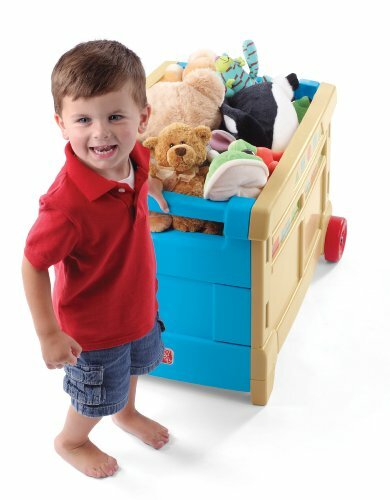 Great, easily transportable toy box with easy lift handle has the flexibility to go almost anywhere. Designed with two legs that provide stability and easy-grasp handles, this toy box provides over 3 cubic feet (0.08 m3) of storage for toys, books, games or clothes. Its durable molded wheels won’t scratch floors, and its design and colors match today’s interior home décor. Item makes it easy for toddlers to access toys by themselves. Its durable poly construction is maintenance-free and wipes clean easily. Adult assembly is required.